After a long cold winter, summer has arrived. Well, not officially, the first day of summer is June 21st, but the heat is here, finally! This time of the year means more than just hotter temperatures for most people what with vacation plans taking shape and beaches – as well as fire hydrants- opening for the season. However, if you’re Puerto Rican, the month is a lil extra special. To kick things off, I wanted to feature a DJ that grew up in New York, and is familiar with that same energy I remember growing up with. Not only did I find the perfect DJ, I found two, they’re brothers and just so happen to be one of the biggest DJ acts in the game! Latino, brothers, big name DJs? If you haven’t guessed by now then let me introduce you to The Martinez Brothers. Chris and Steve Martinez were born and raised in the Bronx less than a short traffic jam away from where I now sit writing this article. The two young brothers were just about destined to be in the music biz as the pair began playing instruments such as they keyboard, bass, and drums at a very young age. Their first experience performing to an audience was as part of the church band and their father, Steve Martinez, was the Pastor of said church. They were so good Mr. Martinez would book them gigs at other churches. Just because he was a Pastor however didn’t mean Mr. Martinez was against the secular music of the world. In fact, it was he who introduced his sons to dance music. 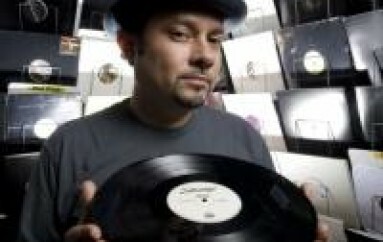 The now famous story is that Mr. Martinez, a club head from the days of Disco, Larry Levan, and the Paradise Garage introduced his kids to the music of his youth as a way of not only growing closer to them, but to pull them away from what he thought was the profanity laced Hip Hop the two were increasingly listening to. 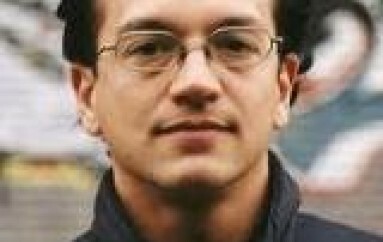 Mr. Martinez would play Disco classics, Freestyle, and House for his sons and the three would also listen to the new House sounds coming out of the underground. One of their favorite radio shows was the magical spinning of Timmy Regisford, who believe it or not was actually on the radio at the time on the now defunct KissFM. The two youngins soon fell in love with the positive vibes and the feel good energy of the music, but as musicians were also drawn to the musicality of dance music. The brothers soon caught the spirit themselves (not the one the church had in mind, but it is my belief they are one and the same) and were hooked. It wasn’t long before Chris and Steve were standing in the DJ booth of the legendary Shelter watching the even more legendary Timmy Regisford work his magic on an exuberant crowd. And that’s what they would do, week after week, just watch, and of course, learn. The brothers took everything they learned and began dabbling with computer software, then CDs and eventually vinyl. Eventually, they managed to make a mix tape which they promptly gave to their father. Their pops was already their biggest supporter but as thier famous story continues, when he had to pull over on the side of the road and call his kids in disbelief to ask them if they in fact had made the mix tape he was listening to, he became their first and biggest fan. So moved by his sons skills, Mr. Martinez called upon friend and veteran DJ, Victor Rosado and hosted three parties with Rosado as the main attraction and his two sons as the opening act. How cool a dad is that? Needless to say, the boys reveled in the opportunity, but more importantly it gave them the confidence they needed to continue pushing forward. In the meantime, they began hitting up DJs online via MySpace, introducing themselves, letting them know they were fans. One of them replied, and actually struck up a conversation. They sent him a link to one of their mixes. He liked it, really liked it. This DJ was Dennis Ferrer, who has gone on record saying, he doesn’t know why but he was feeling some sort of way and decided to give them a chance to spin at The Shelter where he had an upcoming gig. Yet another famous story about the brothers is what happened on that nite. They immediately tore into an energetic crowd pleasing set that ended up pulling people out from the other room where a big name DJ was spinning; that other DJ was Timmy Regisford. They tore it up so good Dennis didn’t even bother going back on as he had planned. Oh, the boys were 15 and 17 at the time. 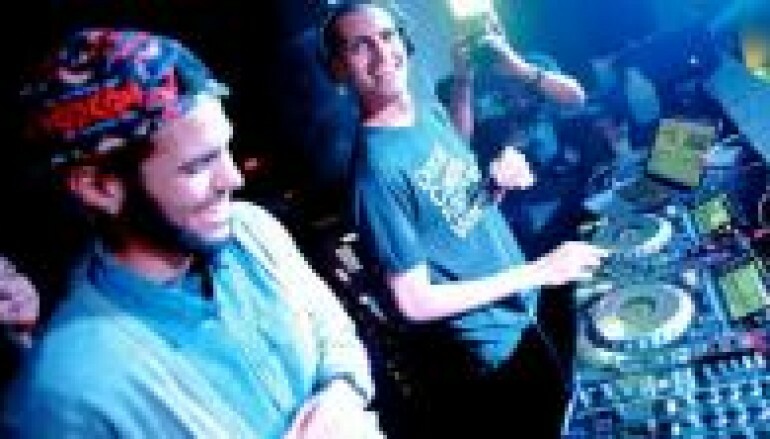 These days the Martinez Brothers are bonafide world traveling DJs and producers. Name a festival and they have rocked it. Name a super club on any continent and they have torn it up. Sonar in Barcelona, DC10 in Ibiza, Panorama Bar in Berlin, Fabric in London, Ministerium Club in Lisbon, Social Club in Paris, Space terrace in Miami, Stereo in Montreal, the BPM fest in Mexico, Extrema festival in Belgium, Vertigo festival in Italy, and much more than I can mention here. I’m tempted to say here that the list of the events and venues they have rocked is like the beat at the parties their father used to attend back in the day, it just goes on and on and on. Let’s not forget these two brothers began as musicians, so it’s no surprise they have hit the studio, hard! Their first EP ‘My Rendition’ dropped on Ferrer’s Objectivity label back in 2007. They followed that up in 2009 with ‘Debbie Downer’ and went real hard with a Techno track named ‘Where’s Mr. Brown?’ that same year. 2011 saw the release of ‘The Causeway / Issshhh’, 2012 they released ‘H 2 Da Izzo’. 2013 promises to be the brother’s biggest year yet. After famously locking themselves in the studio for an all nite beat making studio session the brothers are prepping for a slew of new releases and remixes. Coupled with their new Mad Beats & Crazy Styles party which they kicked off in Brooklyn earlier this year, the future is looking very bright for the Martinez Brothers. I’m sure their father is very proud. The Martinez family being Puerto Rican and this being June and all, I feel there is no better way to end this piece and to get this month started then by the following call familiar to Latino’s the world over. Familia Martinez and to all the party people of the world, we send you a hearty and exuberant, wepa!!! !